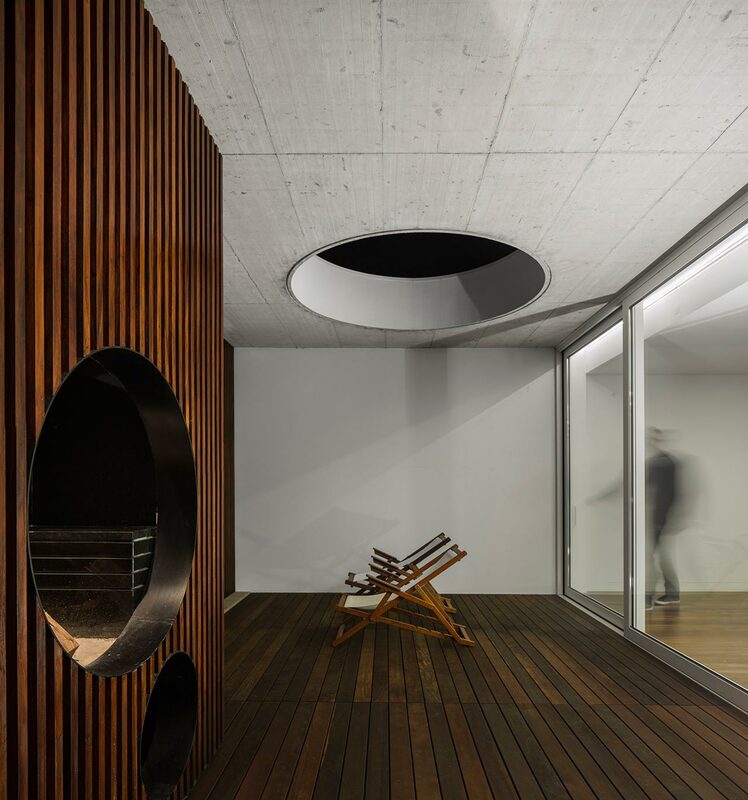 Photo by Fernando Guerra FG+SG architecture photography. 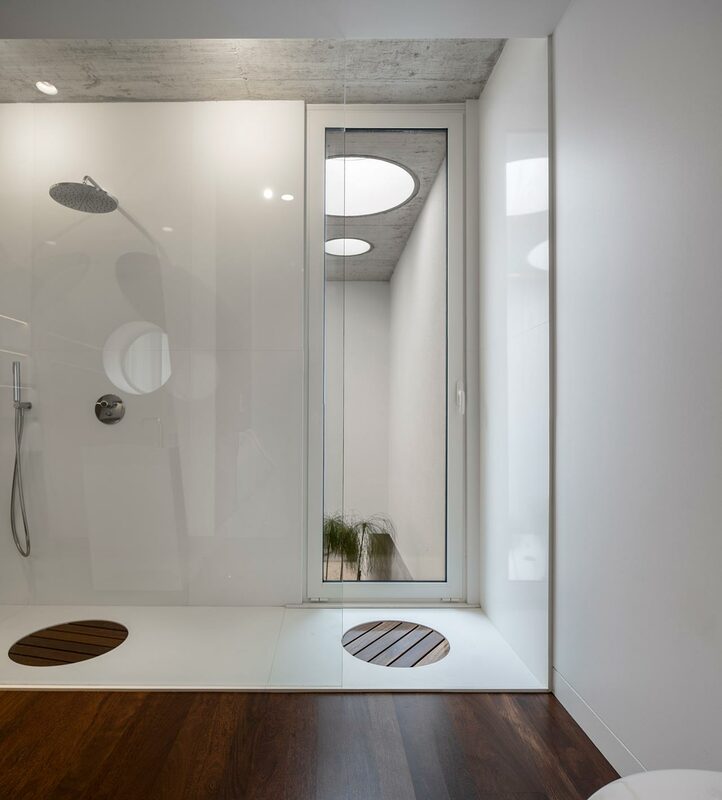 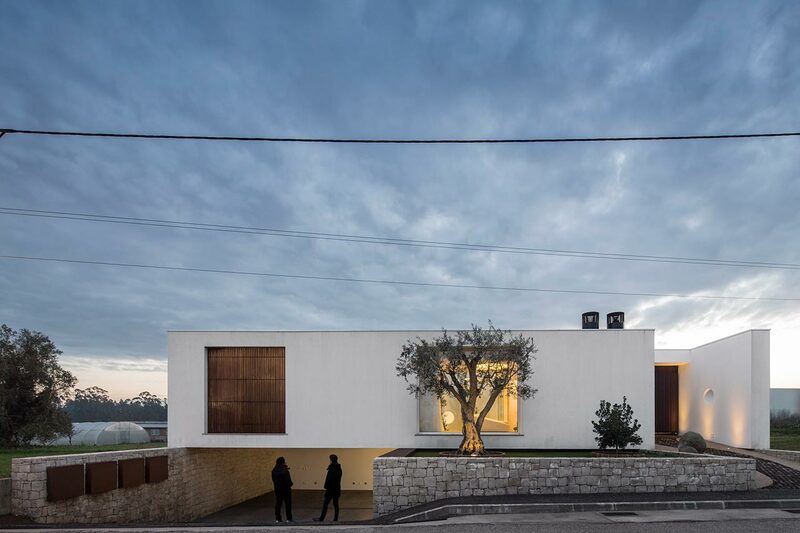 Stashed away between an extensive green area and the urban periphery of the city of Leiria in Portugal, Casa dos Claros is a single-family house which was designed by the Portuguese Studio Contaminar Arquitetos back in 2015. 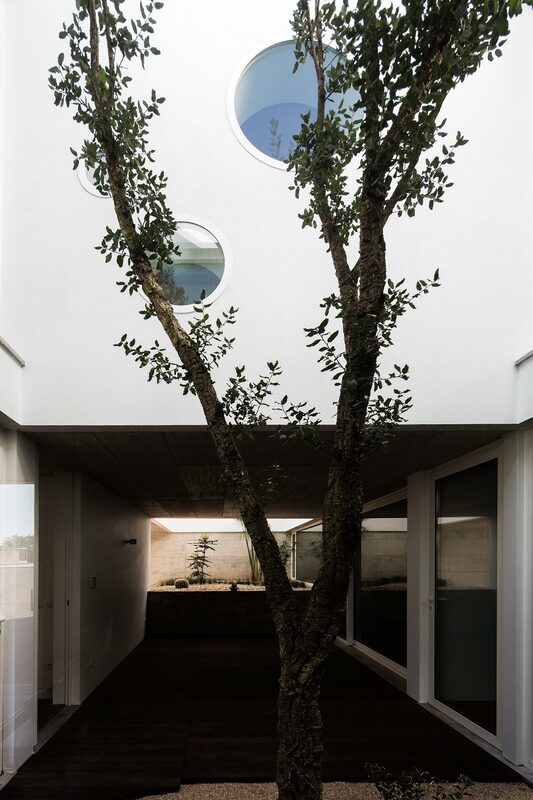 Rather than overlooking the surrounding cropland and greenhouses, Casa dos Claros is envisioned as an inward-looking dwelling arranged over internal courtyards and patios that bring natural light into every part of the house and allow for views between its rooms. 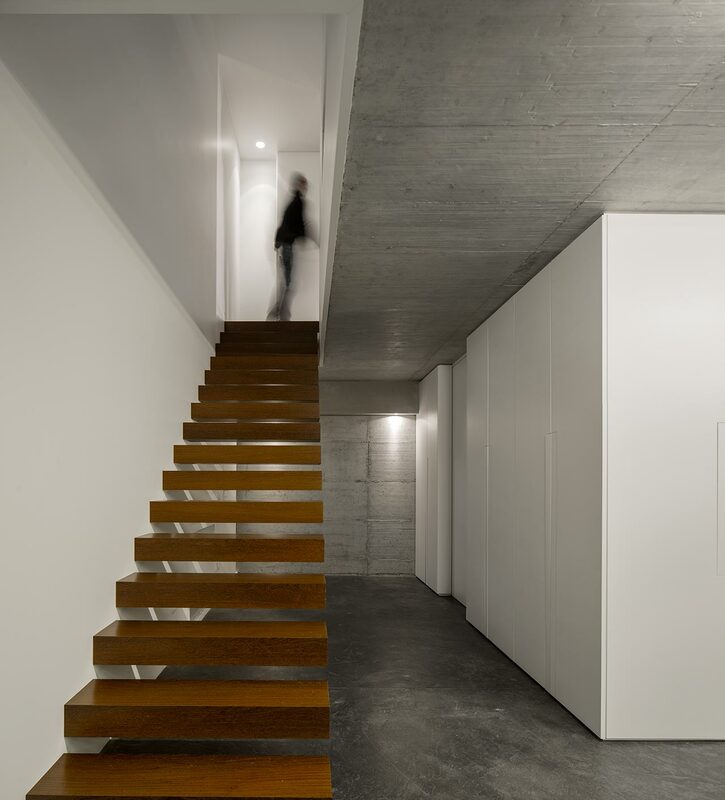 Occupying the entire stretch of land, the 210-square-meter residence is divided between two levels connected by cantilevered stair treads with the underground level comprising a garage, an open-plan lounge and a gym while the first level contains a lounge, dining and kitchen area, three bedrooms and a study. 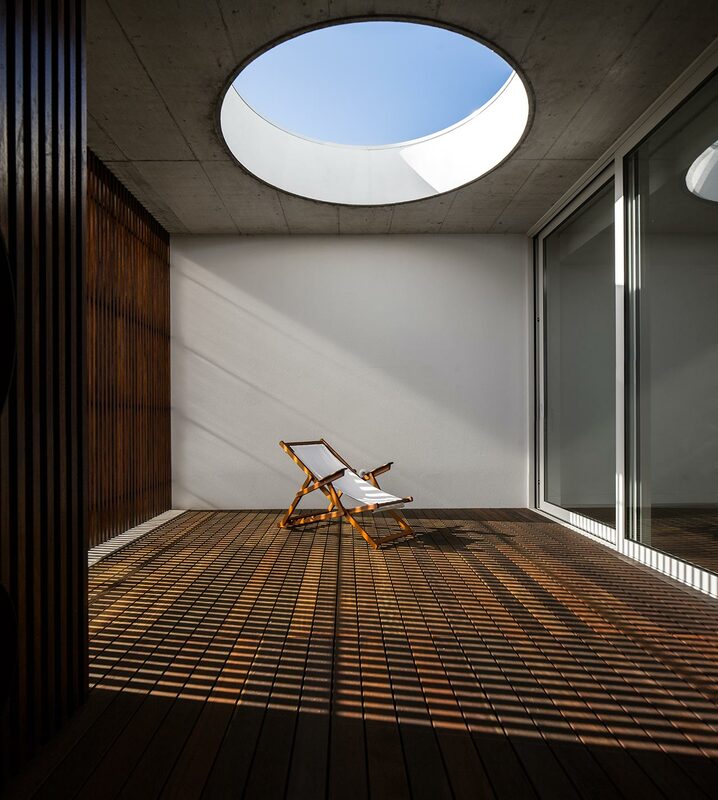 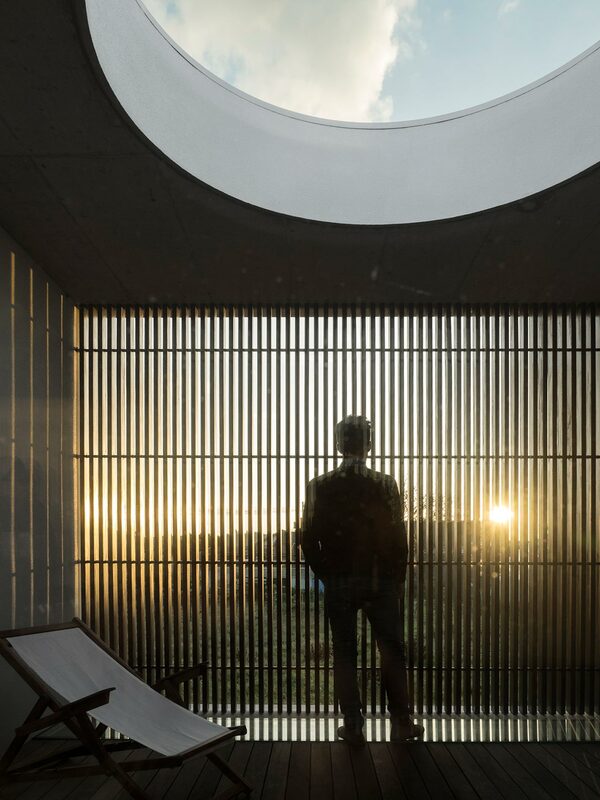 Laid out on a rigid grid of 3.5 by 3.5 metres, the residence’s plan allows spatial continuity between the two levels through a double-height glazed courtyard, while three sheltered patios encourage stargazing through large oval skylights. 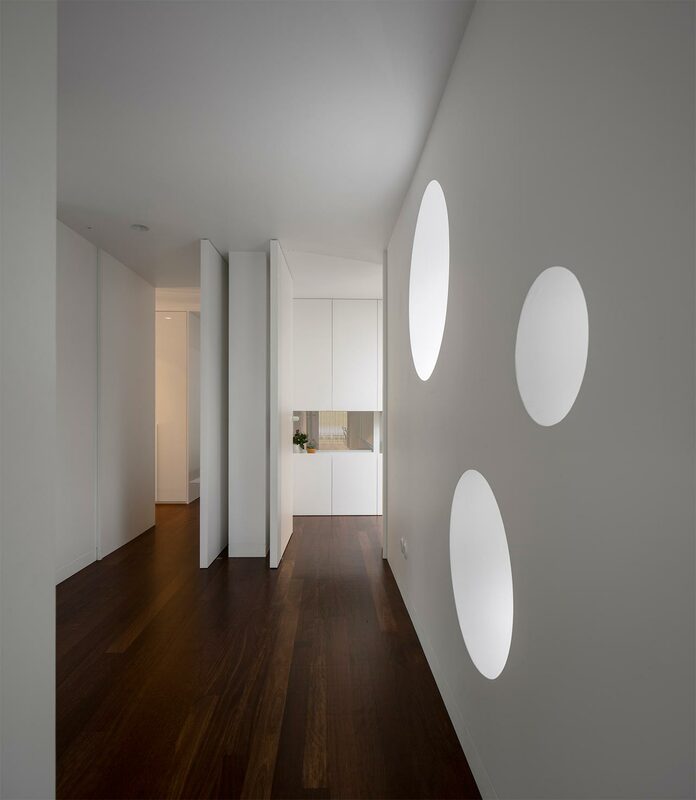 Meanwhile, white walls offset the warm tone of sucupira wood features used throughout the rooms, ensuring the interior retains a bright feel.